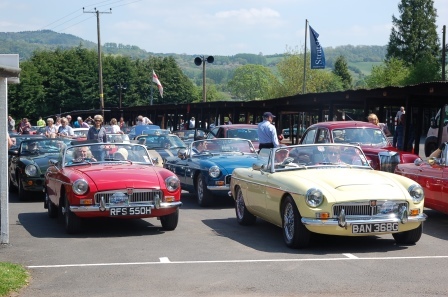 This year's Heritage Run was the club's 21st and the final destination was the Shelsley Walsh Speed Hill Climb in Worcestershire, the oldest motor sport venue in continuous operation. 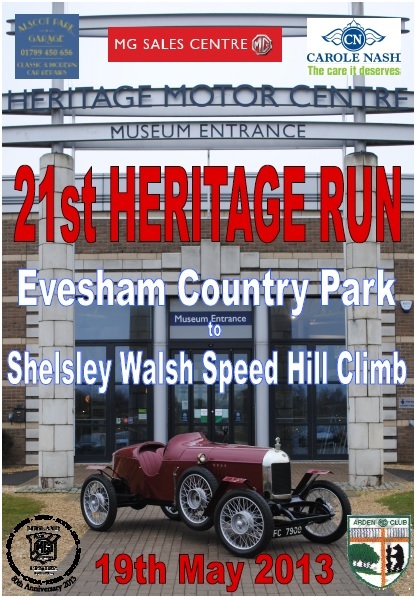 The run started from The Evesham Country Park with a 50miles scenic run through the Worcestershire countryside and included the now traditional 'Ford'. 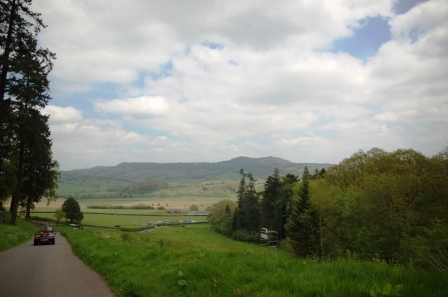 We were blessed with a fine sunny day, which gave wonderful views along the route. 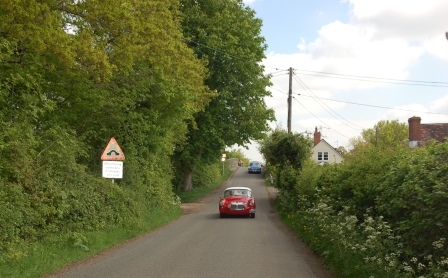 All participants had the chance to drive up the famous hill and were e-mailed a photo taken on the startline as a further memento of the day. As an added extra for our 21st run there was also a Free prize draw of 24 prizes. The following winners collected their prizes on the day: M Adams - Oxford, M Green - Solihull, S&J Weston - Bewdley, H Barber - Solihull, M Walker - West Midlands, H Easthil - warks, P Dunn - Birmingham, S Johnson - warks, A Bourne - Warks, B&H Motors - Birmingham, R Cook - Oxon, J Inness - Oxon, T Jackson - Birmingham, N Jones - Glous, P Griffs - Birmingham. There are 4 un-claimed prizes, so if you have one of the following tickets; 34, 52, 109 or 169 please get in touch with us as soon as possible to claim your prize. 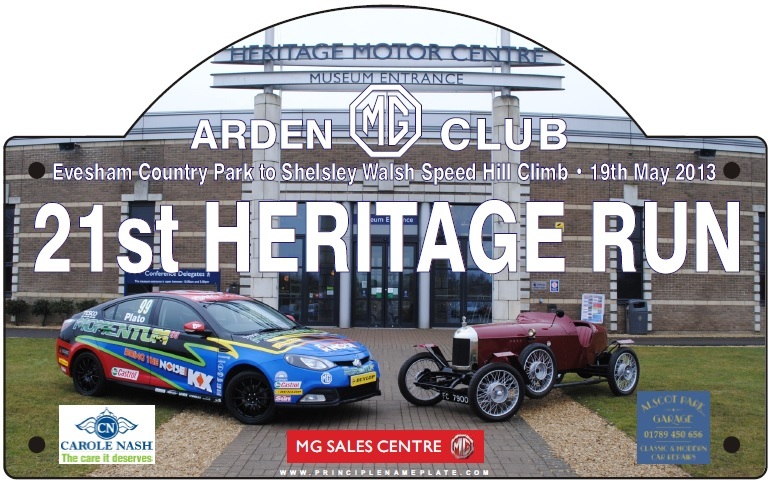 Any un-claimed prizes after 19th June will be given to the Arden MG Club for use in future draws. Graham Robson has put together a video of the day and has up-loaded it to YouTube. The video can be viewed at: http://www.youtube.com/watch?v=lXzuS8-CKMc enjoy. Classic car owners are different. It's not just about the destination, but about making the journey with style and personality. That's a spirit we understand at Carole Nash. 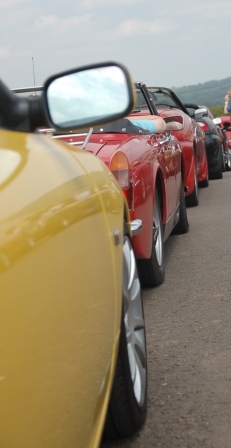 We don't just have the experience and the expertise you need for insurance, we also have a passion for the classic car scene. That's why we can provide the specialist policies these very special vehicles deserve. Today, MG is more than an iconic octagonal badge; it is once again a motoring force to be reckoned with. 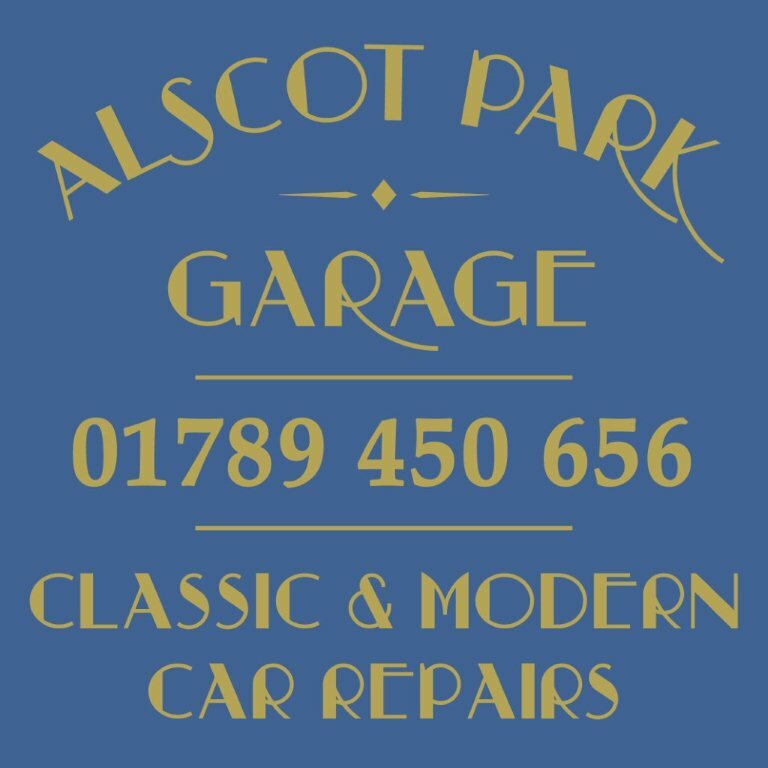 Our much-loved British brand has been re-launched with the financial backing of one of the world's largest car manufacturers, which allows us to stand tall in the global market. We'd like to introduce you to a new range of models that have been designed and engineered at our 69-acre site in Longbridge, Birmingham. These include the new MG6 GT, MG6 MAGNETTE and the MG6 BTCC EDITION. Essence Restaurants 50 Birmingham Road, Alcester & Old Red Lion Court, Bridge Street,Stratford-upon-Avon.